Let me say at the outset that I believe every day should be Veterans Day. One day a year is certainly not enough. And the notion that there are veterans of any age in this country who are struggling with homelessness and mental illness, committing suicide at alarming rates or despairing to find satisfying work when they return is simply unacceptable. These are our heroes, the men and women who stepped up and put their lives on the line to protect our country and our freedoms. They have earned our reverence, support and gratitude and they deserve nothing less. An innovative new project in my 106th Assembly District, Heroic Food, caught my attention because it engages all of these critical issues through a thoughtful and timely connection to sustainable farming, as well as the need for more young farmers to literally put down roots and build farming businesses in our communities. Further, it aims to create a model for sustainable farmer training for military veterans that can be replicated in other rural areas. The program is structured as a 1 to 2 year residency which includes hands-on courses, housing, mentorship, veteran support services and income-earning opportunities. This is all free to the veteran-farmer and it is located on a picturesque 18 acre farm just outside of Hudson, NY, in beautiful Columbia County. Heroic Food now has it’s first young veteran-future farmer on board and he is eager to learn sustainable practices and introduce them back home in Georgia. Three other future farmers are signed up to begin late this winter. In addition to attracting more veteran-farmers there is a need for mentors, donors and other partners in this really exciting project. 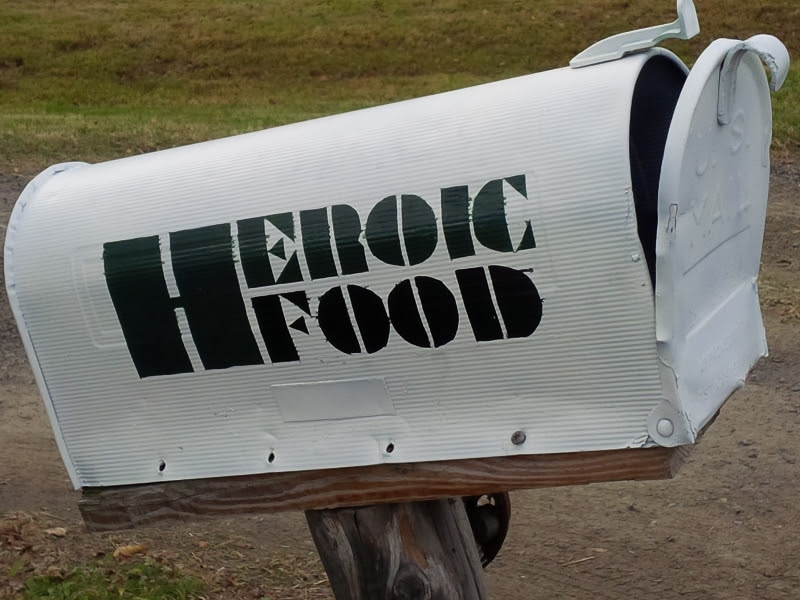 To learn more, go to heroicfood.org or call 518.821.1504. This entry was posted in Didi's dish and tagged 106th AD, Columbia County, Farmer Veteran Coalition, Hawthorne Valley Farm, Heroic Food, Hudson, NY106AD, Veterans Day. Bookmark the permalink.